I’m excited to bring you another SGD student design – this time for a stunning rooftop garden for the English Garden Future Fund competition. Gillian’s design has been shortlisted for a chance to study garden design at the world-famous Inchbald School of Design with course fees paid! “I have enjoyed my cottage garden for a number of years but decided I wanted to take it to the next level – design. 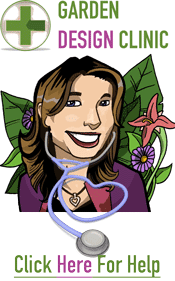 Google was my friend in searching for the right online course and I discovered Rachel at Successful Garden Designs. I watched her videos and purchased the wide and square garden design formula package, which I thoroughly enjoyed and learnt a lot. It’s all about lawn shape! Applying for The English Garden Future Fund Competition was a way to experiment with what I had learnt from Rachel and guess what, I was lucky enough to become a finalist! The brief was to design a low maintenance rooftop garden overlooking the Thames (UK) for a professional couple. My lovely husband even pegged out the dimensions on the back lawn so I could see how big the space was, which was very helpful. My design is a relaxing low maintenance contemporary rooftop garden which has an underlying New Zealand (NZ) theme with a boardwalk intertwining with the stony stream, koru design shape, NZ flax and wood. It has a sand dune feel with the curves, mounded gardens, driftwood colours and grasses inspired by the NZ beach. I wanted all senses to be used, the plants create interest with colours, textures and movement, the river stone stream helps drainage and recycles its own water and is lovely to listen too. A slatted wooden curved structure runs from the ground to roof over a table area creating a sheltered “nest”. Plants are under filled by pea gravel and LED lighting under the boardwalk allows the space to be used at night. The splash of sedum flowers are not only beautiful, they attract wildlife. The design took approximately 2 months to complete and I really enjoyed working on it. WELL DONE Gillian for creating a superb design and getting this far in the competition! Filed Under: Garden Drawing, HALL OF FAME - SGD student gardens!